​There's nothing more that modern fans love doing than slipping into their own bubble and believing the hype over their own 'world class' players. Whether it's getting into a fervour and demanding they get recognised in the annual PFA Team of the Year, or ignoring point-blank evidence to cling on to the mystical pedestal upon which they've placed their idol, every club has their own overrated player. So, following on from ​90min's list of every Premier League club's most underrated players, here is a look at the most overrated player from each top-flight side. 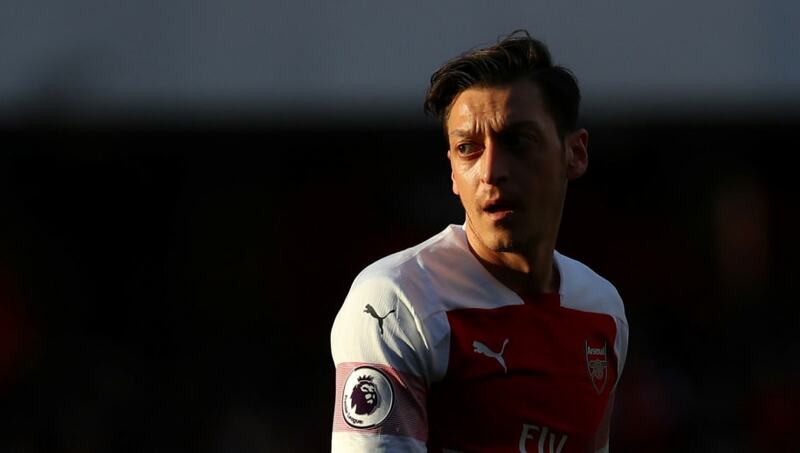 The ​Mesut Ozil conundrum continues to split opinion, not just amongst neutrals but Arsenal fans too. The way you perceive the enigmatic German is roughly translated to whether you're a glass half full or empty kind of person. The football purists laud the former Real Madrid star's vision and technique, whilst the detractors point exasperatedly at his lack of hard work or tracking back. But even his most ardent of supporters cannot justify his eye-watering wages anymore. At just 21, Dominic Solanke still has plenty of time left to make good on his fledgling career, but as of yet, the talented forward has yet to deliver. Having failed to get an opportunity at Chelsea, the one-cap England international moved to Liverpool, but failed to show enough to convince Jurgen Klopp to thrust him into the Premier League spotlight. The fact is, Solanke's reputation precedes him - the forward has just eight goals in 56 professional appearances at first-team level. Despite ​not being the most prolific of goal scorers in his time in Spain, Andone arrived at the Amex Stadium with a sense of excitement. Whilst a five-goal return in his first 19 games in English football is nothing to be sniffed at, being unable to displace 35-year-old Glenn Murray (even with the fine season the veteran forward is enjoying) is not a good look at all. An England number one for so long, Hart's career has taken a downturn since Pep Guardiola decided the goalkeeper wasn't very good with the ball at his feet. Facing stiff competition with Tom Heaton and Nick Pope (fellow England internationals themselves), much of Hart's supposed goalkeeping ability comes through his shouting and bawling before and during games. If the 31-year-old was as half as good as his vocal antics, he'd be a world beater. Remember when Junior Hoilett was the next big thing at Blackburn Rovers almost a decade ago? The Canadian lit the Premier League alight in the 2011/2012 season with his long-range strikes and ability to beat players one on one; in fact in that season, Hoilett had the most dribbles per game among all Premier League players. Now at Cardiff, the 28-year-old is still remarkably thought of as a young up and comer, but has done very little to match the hype in his early years. What exactly does Mateo Kovacic offer? Is he a deep-lying playmaker wanting to dictate the tempo of a game, or is he more of a number 10 looking to link up the midfield with the side's central striker? In his short loan spell with the Blues, the Croatian has been underwhelming to say the least despite featuring in 25 Premier League games this season. His former teammate at Inter, Javier Zanetti, described him as one of the most promising youngsters he had ever seen at the club outside of the Brazilian Ronaldo. I guess the only way was down after that level of comparison. The realisation that Christian Benteke has a combined transfer fee total (from his moves to Liverpool and Crystal Palace) of £64m is mind-boggling. The towering Belgian is an imposing figure and was a lethal striker at Aston Villa, but has failed to really hit those heights since. For someone of his size, his hold-up play should be his main strength but his poor touch can often let him down, whilst his finishing has been erratic. He has just three goals in his last 41 appearances. Another one out of the English school of vocal goalkeepers, Pickford's undoubted talents are slowly beginning to frustrate the Goodison Park faithful. His distribution in general is good - not quite Ederson-level but usually accurate nonetheless - but his intent on wanting to play his way out of trouble at every possible moment is infuriating. The 25-year-old has been prone to some high-profile mistakes, none more so than his gaffe to hand Liverpool victory at Anfield in the Merseyside derby. A two-time Europa League winner with Sevilla, Sergio Rico was a regular at Sevilla and was hailed as a coup by the Cottagers when they picked him up on a season-long loan. Instead, Rico has been less than convicining and been found wanting on occasion. When Fulham were holding London rivals Tottenham to an impressive draw at Craven Cottage, Rico mind-numbingly decided to try and launch a counter-attack in injury-time; just seconds later Harry Winks would head home to hand Spurs all three points. A seven-cap Germany international, Erik Durm arrived at the John Smith's Stadium with a decent reputation as a utility player for Borussia Dortmund. The German was seen as a step-up in class from the defenders the club already had, but has just fallen into the shadows at Huddersfield. Sadly for Rachid Ghezzal, being left-footed, Algerian and coming from French football does not make him the heir to Riyad Mahrez's throne. The former AS Monaco star looks completely void of confidence at the King Power Stadium, and has struggled to fill his international teammate's boots. Just like Hatem Ben Arfa in his time at Newcastle, Ghezzal may have to leave the Foxes to showcase his natural talent once more. I'll let the man himself write this one for me. He said (as quoted by ​Sky Sports): "I showed that I took Liverpool to the Champions League final and now with my national team we are in the final. I think people should recognise that I'm one of the best defenders in the world and not just talk nonsense I will say." ​Controversial perhaps, but with the abundance of riches and sheer quality City have, Walker is debatably the man to take this award. The right-back has certainly improved no end under Pep Guardiola's guidance, but there's still a nagging feeling that the England international's defensive deficiencies get masked by his incredible pace. For all his attacking runs forward, having just one goal and one assist in the league is rather underwhelming. With a huge game against Arsenal coming up on Sunday, the Belgian forward has the perfect opportunity to silence the doubters. The 'Jonjo Shelvey for England'​ brigade needs to just stop. Yes, he's a fine long-passer of the ball and his penchant for 30-yard thunderbolts make him a perennial goal of the month contender. But he's far from consistent, and often has spells of games where he's largely anonymous and contributes very little to the side. Other than perhaps getting sent off. Likened to Paul Pogba following his arrival from Juventus, Lemina has done little to suggest he can make good on Southampton's then club record fee of £15.4m. The Gabon international has shown flashes of promise but it is clear to see why the Bianconeri were quite happy to let the midfielder leave, with his lack of concentration at crucial times often costing his team dearly. When ​Spurs blew away Manchester United at Old Trafford, Sky Sports pundit Jamie Carragher raved about Lucas Moura and what he could bring to the side. The Brazilian showed blistering pace and skilful technique, but since that performance at the Red Devils, thing just haven't seem to have clicked for Lucas. Hailed as one of the greatest prospects to come out of Brazil whilst at Sao Paulo, the former PSG star has failed to really live up to the massive hype that marked his early rise. Another to arrive in the Premier League with a reputation from his time in European football, Pereyra has been to his credit a solid enough signing for the Hornets. But after arriving from Juventus as a coup and someone who could offer a greater goal-scoring threat from midfield, it has been his teammate Abdoulaye Doucoure who has outshone him to a great degree. Still one of the Premier league's feared strikers (in the air​), Andy Carroll's reputation still seems to be based off his exploits with Newcastle United. Nine years ago. Since his high-profile move to Liverpool in the 2010/2011 season, the Englishman has scored a total of 34 goals from 142 games. Let me remind you that he plays up front. When you come from the Barcelona academy you're automatically half-decent.